Are you looking for a generator that’s powerful enough to use for home backup or powering electric tools while still being portable? The EM6500s is Honda’s most powerful residential model, offering up to 7,000 watts of peak power along with an advanced control system that provides steady current that is safe for the most sensitive electronics. It also uses heavy-duty components including the company’s most advanced GX-Series engine, so it’s tough enough for commercial users. The EM6500s is powered by Honda’s iGX 390 engine. The iGX’s ECU handles the choke, throttle, and ignition automatically, taking the guesswork out of starting and operation. Honda’s Eco-Throttle automatically adjusts engine RPM to meet load requirements to reduce fuel consumption and noise. At 50% load, this generator can run up to ten and a half hours on one 6.2 gallon tank of fuel. A built-in gauge makes it easy to plan for downtime when refueling. The engine is fitted with a battery-powered electric starter. If the battery is dead, the engine can still be started using the back-up recoil starter. All of this is packed into a frame with folding handles and wheels, making it easy to move around job sites or set up for emergency power. While running, the noise from this generator is between 64-66 dB, which is about as loud as a chainsaw. This model’s iAVR intelligent automatic voltage regulation reduces voltage fluctuation up to 50% compared to other AVR systems. 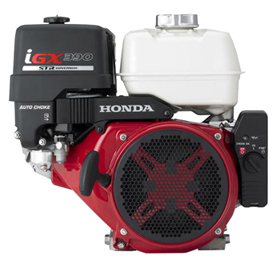 It does this by uses iGX’s electronic control system to all but eliminate RPM fluctuations when loads change. By evening out electricity supplied to the inverter, the EM6500s is able to deliver clean, steady power that won’t burn out electronics. For connections to household appliances, there are two 20 amp duplex outlets for a total of four GFCI-protected 125-volt sockets. For higher demand applications, there are two locking plugs: one 30 amp 125-volt socket and one 30 amp socket that can be used in 125 or 250-volt modes. By flipping a switch on the panel, the dual mode socket can be set to 125 volts without limiting the generator’s maximum output. All outlets are protected by circuit breakers to prevent overload in case of a short. There’s also a 12-volt connector that taps into the charging system for the generator’s starter battery. By attaching an optional charging cord, the generator can be used to charge automotive batteries. Honda knows these generators have applications in home and work use, so they’ve created accessories accordingly. For home backup power, there’s an available remote start kit and a transfer switch to wire the generator directly into the house electrical system. For those who want to use this generator for power at job sites, Honda offers a hanger kit to hoist it up buildings or keep it out of reach of thieves. The EM6500s and its iGX engine are guaranteed for three years of residential or commercial use. 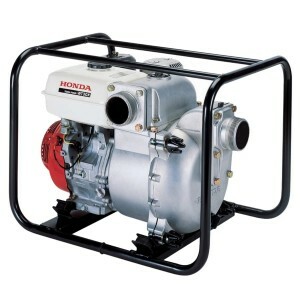 Hondalawnparts.com is an authorized Honda Engines and Honda Power Equipment dealer, letting us offer the full line of Honda OEM parts and accessories for the EM6500s including transfer switches, cables, and maintenance parts. 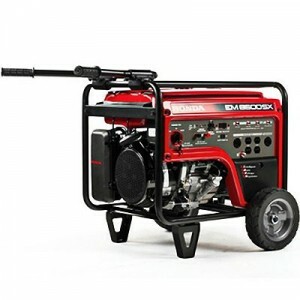 Browse our site’s generator accessory section, or find the right part for your equipment by using our advanced search engine. When you enter your model and serial number, our site can show you factory diagrams and descriptions so you can be sure you’re buying something that’s compatible with your model. We can ship your order to any address in the U.S. or Canada. Honda’s WT30X is a staple of the construction and property management, providing portable power to drain waterlogged and flooded areas. Whether you’re a new owner or drainage is a regular part of your work day, these tips will help you get maximum performance from this trash pump. However, actual performance can vary widely depending on how and where you set up your pump. Suction head decreases by two feet for every 1,000 feet of elevation. If you need to use your pump at altitudes above 13,000 feet, the pump will need to be lower than the surface of the water. Even though it can handle large rocks and debris, a strainer must be attached to the suction hose to prevent anything over the maximum size limit from reaching the pump housing. The maximum flow rate is under ideal conditions. For the best performance, you should use the shortest hoses, the shortest suction head and shortest total head possible. Priming time will take longer as head and hose length increases. Always check the hoses and seals for signs of damage before using the pump. Even small leaks can hinder performance. If there’s a problem with the pump, it can be shut off immediately by turning off the ignition. This pump is built to handle construction materials and other trash. It is not safe to use with corrosive fluids including sea water and mine runoff. The pump case needs to be filled with water to keep the seals cool while it pulls water through the suction hose during startup. Before starting the engine, remove the cap on the top of the pump next to the suction hose and add water. The pump case should hold just under four gallons of liquid. There are a few minor differences that make starting this pump’s engine different from other small engines. Depending on the version of pump you’re using, the ignition switch will either be on the starter housing or bolted to the frame. This switch should be turned on after setting the choke and throttle and before pulling the starter rope. The engine comes with Honda’s Oil Alert system, which will cut the ignition if there isn’t enough oil to lubricate the engine. If the engine won’t start or it stops abruptly, start by checking the oil level in the crankcase. The throttle only needs to be about a third of the way open to get the engine started. Once the engine is warm, the throttle can be opened to get the right pumping speed. The throttle lever is above and to the right of the choke and fuel valve controls. The inside of the pump should be cleaned after each use. Honda includes a special wrench for this purpose that attaches to the frame using a wing nut. Remove the drain plug on the base of the pump, then loosen the four cover knobs on the pump cover. Slide the pump cover and volute case off of the pump. The o-ring that seals the two halves of the pump should stay in the groove on the volute case. Clean out any debris inside the pump. Make sure the o-ring is in place and in good condition, then reinstall the pump cover. Hand-tighten the cover knobs before tightening them down with the wrench. Reinstall the drain plug. Add water to the pump just like you would when priming it and check for leaks. If everything looks good, remove the drain plug again to let the water drain out, then reinstall the plug. Hondalawnparts.com carries the full line of Honda replacement parts. That includes OEM hoses, strainers, seals and everything else you need to use and repair your WT30. We have a section on our website dedicated to pump accessories, while our search engine can find parts based on your pump or engine’s model and serial number. We can ship your order to any location in the US or Canada. Have a flat on your Honda snowblower? Just got it out of storage to find a tire has come off a rim? Here’s what you need to do to fix it and keep it from happening again. 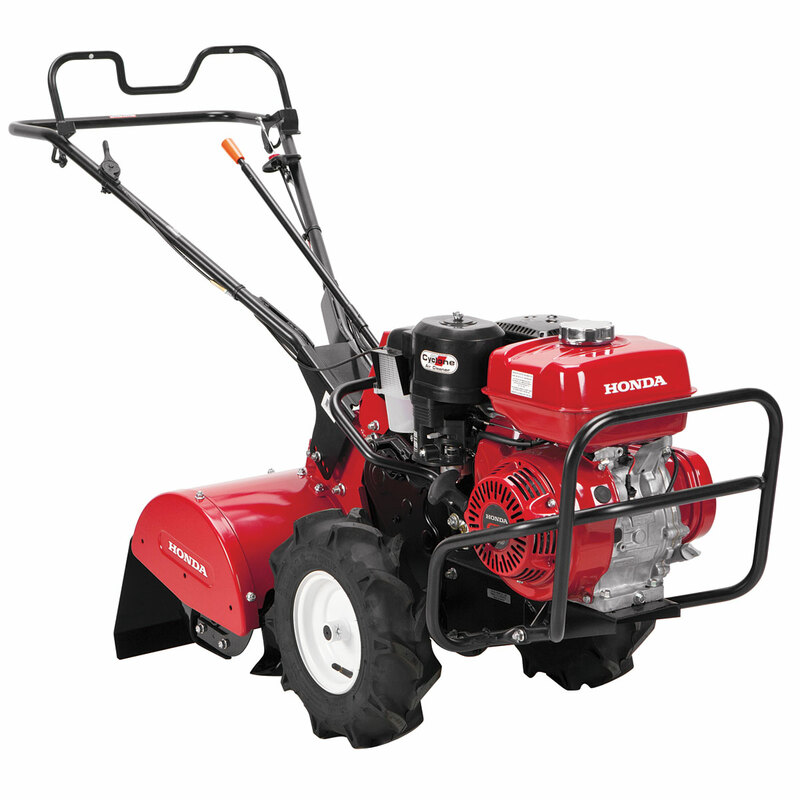 All Honda snowblowers built in the past two decades that use pneumatic tires are tubeless. That means if you have a leak, it’s in the tire itself. It also means that if the tire separates from the rim, the bead needs to be reseated to reinflate the tire. Tire pressure should be checked before each use, even if you got your snowblower out the day before. If the temperature drops 10°F, tire pressure can drop up to one PSI. Tires can also lose one PSI each month they’re in storage. Honda’s snowblower tires are designed to operate at 8.5 PSI, so it doesn’t take much for the pressure to drop significantly between uses. Removing the wheel will make it much easier to work on the tire. Honda offers some tires and wheels as a complete set, letting you replace a bent rim and tire in one step. 2. Lift up the rear of the snowblower so that the tires are off the ground. 3. Depending on the model, there will be either a bolt or a Clevis pin on the axle. Remove this part, and slide the wheel off of the axle. 4. Slide the new wheel onto the axle and tighten down the bolt or reinstall the pin. 5. Air up the tire before lowing the snowblower to keep the bead from separating it from the rim. 2. Hold the tire and wheel in a way that lines the bead up with the rim. 3. Connect the air valve to a compressor or a pressurized air tank. You may need to go over the recommended operating pressure to push the bead onto the rim, but try not to go above the maximum pressure on the sidewall. The goal isn’t to put a lot of air in the tire, it’s to put the air in quickly to get the bead to meet with the rim. — Apply grease on the inside lip of the wheel. This helps the tire slide up to the rim, and can reduce the amount of air escaping as you air up the tire. — Remove the valve stem. This reduces resistance when airing up the wheel. Be gentle handling the wheel and tire when reinstalling the stem as the lack of air pressure can let the bead slide off of the rim again. — Tie a ratchet strap or a rope around the tire tread. This pressure will help push out the sidewall so the bead doesn’t have as far to go to meet with the rim. To tighten a rope, slide a piece of pipe between it and the tire and twist, wrapping the rope around the bar. It is possible to spray the rim with starter fluid and light it to pull the tire onto the rim, but it should be obvious that this is extremely dangerous. If the tire is that difficult to fit, it’s worth getting a complete wheel and tire instead of setting your snowblower and yourself on fire. If there are cracks in the rubber or damage to the tire, it should be replaced. 1. Remove the wheel from the snowblower. 2. Push in the tire valve to release any remaining air inside the tire. 3. Use a set of tire levers or spoons to pull the bead over the rim. Once one bead is off the wheel, lift up the tire and pull the other bead over. 4. Fit the new tire onto the wheel using the spoons or levers. 5. Use the process above for reseating the bead. Air up the tire to the correct pressure, then install the wheel on the snowblower. www.hondalawnparts.com is a certified Honda Power Equipment dealer, so we’re able to ship any OEM part currently available to any address in the U.S. or Canada. Check out our wheels section to find a replacement for your snowblower, or use our search system to find the right part for your model. 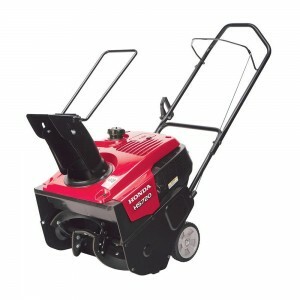 From powering fountains to cleaning construction sites, Honda makes a pump that will do the job. Which pump is right for your needs? Knowing how each design functions can help you narrow down your choices from Honda’s 16 model lineup. The head, which is the difference in height between the end of the intake hose, the pump and the end of the outlet hose, will affect pumping performance. If all three points are at about the same height, the pump should work at the rated gallons per minute. If the height difference is high, say, when pumping water out of a well, the pump has to overcome gravity, reducing the flow rate. When it comes to trash and chemical pumps, the fluid being moved may be heavier than water, which further decreases pumping speeds. Before you buy a pump, check the detailed specifications to make sure the pump will be able to support the total head you’ll need the pump to handle. If you need to maintain a specific flow rate, download Honda’s free “Pump Select software“. It can do the flow calculations for you and make model recommendations. The WX Series is built for high portability with the WX10 weighing just 13 lbs. These models are great for occasional use for gardening, boat maintenance, and general household usage, moving between 32 and 74 gallons of water per minute. The WB series trades the WX’s low weight for more pumping power. Commercial grade components including silicone carbide seals and anti-vibration mounts help with long term reliability. They can move between 164 and 290 gallons per minute. The WH series is built for high-pressure applications while still being portable, making them a great choice for irrigation and fire suppression. These models can pump up to 119 GPM under pressures as high as 64 psi. The WMP20 is designed with materials that resist corrosion and damage from a wide range of industrial and agricultural chemicals as well as salt water. Keep in mind that while it can handle both base and acidic fluids, it can’t pump just anything: Honda keeps an updated list of approved chemicals on their site. This pump has a maximum flow rate of 220 GPM. The WT Series is built for moving massive amounts of water that is mixed with solids up to 1 1/16 inches in diameter. A quick clean out port and design features for easy maintenance make these pumps more than up to the task of handling the demands of contractors and rental businesses. These pumps can move between 185 and 433 gallons of water per minute, although high trash content will reduce performance. The WDP30 uses a positive displacement diaphragm pump that can move water that contains up to 25% solids including mud and trash. This design can also run dry without harming the seals, while a rock channel in the volute case and spring-loaded connecting rod protect the components from impacts. That capability comes at a cost of pumping speed, limiting it to 80 GPM. 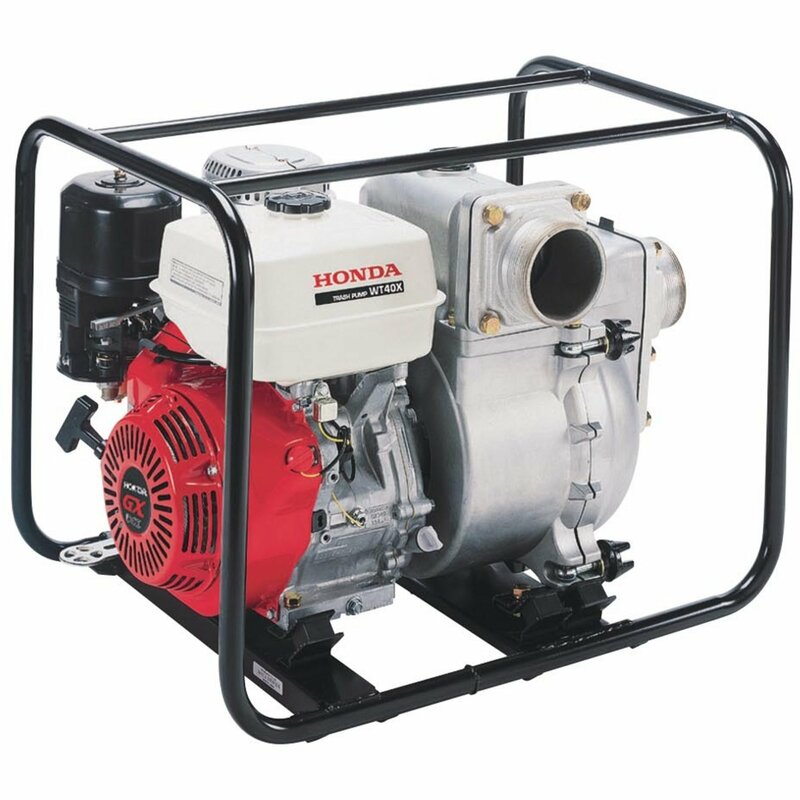 Honda’s WSP electric pumps are powered by 120 AC current, making them a great choice in areas that have frequent need of pumping and have ready power access. These units have switches to pump automatically once the water reaches a certain level, and they’re also set up so they can be put in continuous use. Electric pumps are great for draining water from tanks and containers including pools and hot tubs as well as removing seepage in basements and powering fountains and garden irrigation systems. Most models are designed for plain water, but the WSP 50 and 100 models are both trash pumps, able to handle solids up to two inches in diameter. Pumping speed ranges from 40 to 150 gallons per minute. Need to fix your current Honda pump or replace the hoses? Hondalawnparts.com has everything you need. 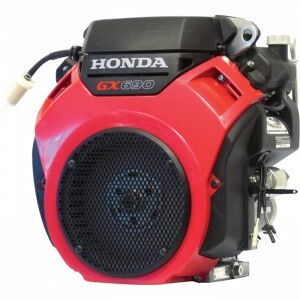 As a certified Honda Power Equipment dealer, we carry parts and accessories for all of Honda’s small engines and equipment. Our site makes it easy to find the parts you’re looking for by integrating factory parts diagrams into our search engine so you can see where the part fits on your pump. We ship across both the U.S. and Canada. This year, Honda has added two new fully framed inverter generators to their lineup: the EB2800i and the EG2800i. These units are small enough to be portable while still delivering reliable performance for both industrial and home users, helping to bridge the gap between Honda’s small portable generators and their large, rolling full frame units. This industry-focused model is powered by a GC190LA engine. This prosumer power plant balances reliability with ease of use by including features like automatic decompression, electronic ignition and an automatic choke make this motor easy to start. The choke, engine switch and performance indicators are built into the control panel for easy access. As the name suggests, this generator produces a peak of 2,800 watts for load spikes with a constant maximum output of 2,500 watts. This electricity runs through an inverter, creating a clean waveform that’s safe to use with electronics. Honda’s Eco-Throttle system adjusts engine speed automatically to match the load for up to 12 hours of runtime from the 2.1 gallons fuel tank. Even if you manage to keep it at 100% load, the engine will run a little over 5 hours before refueling. While operating, this generator produces between 61 and 69 dBa, which is about as loud as a conversation or being inside a busy office. A pair of 120-volt duplex outlets provide four places to plug in devices. These outlets have independent GFCI protection, shutting off one outlet when there’s a short while the other outlet will keep functioning. This generator is both OSHA and ETL compliant and it comes with a USDA-qualified spark arrester/muffler, so it’s safe to use in almost any work environment. The generator’s components are built into a full frame to protect them from damage while providing plenty of areas to lift it for transport. Total weight is just 67 lbs, making it easy for two people to carry the unit or lift it into the back of a truck. Want to make it easier to move around? Honda offers a kit to add wheels so it can be rolled to the work site. While this may be the residential version of the EB2800i, that doesn’t mean it skimps on features. Everything from the engine to the inverter carries over with the only difference showing up at the control panel. Instead of two duplex plugs, there are two individual 20 amp 120-volt outlets and a 30 amp 125v outlet for a locking plug. This third outlet makes it easy to hook this generator up to a home electrical system using a transfer switch. Want more flexibility? The locking plug outlet can be used with an extension cord to provide an indoor power point with multiple standard outlets while leaving the generator outside where its exhaust fumes won’t get trapped. As for the 120-volt outlets, each one has its own circuit protection so a short won’t shut off the other outlet. Honda covers both models for three years of residential use and one year of commercial use. Whether you have the newest generator or an old mower, you can get parts for it from www.hondalawnparts.com. We’re not just an official Honda Small Engine Equipment dealer, we’ve built Honda’s own parts diagrams into our site, making it easy to find what you need to keep your equipment running. We can ship anything you need to any address in the U.S. and Canada. You can do more with a Honda tiller than just till. The company offers several attachments and kits that can adapt your FG110, FC600, FRC800 or F220 to perform common landscaping jobs that would normally require specialized equipment. Honda has a sturdy lineup of engines that are expertly designed to last as long as possible. The engines have some of the best longevity in the industry and it’s not unusual to see Honda engines still working well for decades after they were first built. Despite this great record, all engines, even Honda engines, require good maintenance and care habits. Any engine can malfunction or have mechanical issues from time to time. It’s not always easy to diagnose such problems either, as there are numerous small parts inside the engine, not to mention fluids and other aspects. The main key to troubleshooting is taking a trial and error approach, fixing each problem as it comes up. Probably the most concerning problem for any Honda owner is when the engine won’t start. It is also usually the most common problem and often has the simplest solutions as well. Some common issues with engines not starting include old air filters or simply being low on fuel. The typical Honda lawn mower is packed with great features that enhance its performance and leave a home’s outdoor spaces looking professionally maintained, but one feature stands out among the rest: Honda’s “Twin Blade Advantage.” This unique blade feature is designed to enhance how each blade of grass is processed by the mower, making it easy to achieve a consistent, professional looking result with each pass over the lawn. When choosing a Honda lawn mower, it’s important to understand what the Twin Blade Advantage does and why it’s so essential to a professional result every time.